One hundred years after the Balfour Declaration, Britain’s colonial legacy endures, says TRNN’s Shir Hever. GREGORY WILPERT: Welcome to the Real News Network. I’m Gregory Wilpert, joining you from Quito, Ecuador. 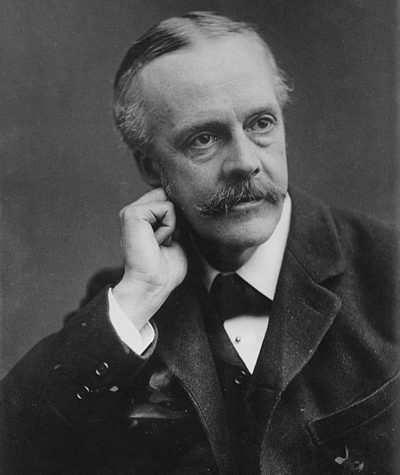 100 years ago on November 2nd, 1917, Earl Arthur Balfour, Foreign Minister of the British Empire at the time, issued the following declaration: “His Majesty’s government view with favor the establishment in Palestine of a national home for the Jewish people and will use their best endeavors to facilitate the achievement of this object, it being clearly understood that nothing should be done that which may prejudice the civil and religious rights of existing non-Jewish communities in Palestine, or the rights and political status enjoyed by Jews in any other country.” Those 67 words have become justification for the Zionist movement to establish a Jewish state: the state of Israel. Chaim Weizmann, who later become the first president of the state of Israel made a great effort to convince the British Government to support Jewish colonization of Palestine. Every year since, on November 2nd, Palestinians mark the declaration as a moment of loss. The Israelite government, on the other hand, celebrates the Balfour declaration on this date as a moment of historical triumph. A recently released short film shows how progressive Jewish voices think about the Balfour Declaration today. Let’s hear a short segment. MIRI WEINGARTEN: At the same time as the declaration promises individual human rights to all the people living there, to a certain extent, it also grants collective human rights, that is this ideal of the national home, to one group at the expense of another. In human rights in addition to individual human rights, there is also a right to collective self-determination as part of the national group, or identity, or any other type of collective. Those are the rights that were denied the Palestinians at the moment in which the Balfour Declaration was made. GREGORY WILPERT: Joining us to discuss the background and ongoing significance of the Balfour declaration is Shir Hever. Shir is a Real News correspondent in Heidelberg, Germany. His new book, The Privatization of Israeli Security, was published by Pluto Press in 2017. Welcome, Shir. GREGORY WILPERT: Let’s start. What were the conditions back then in Palestine when the British Government published the Balfour Declaration?SHIR HEVER: In those years World War I was still raging, and the British Empire was locked in war with the Ottoman Empire. The Ottoman Empire held many territories in that region, including Palestine, for about 400 years. Just a few months after the British forces took over the entirety of Palestine the Balfour Declaration was issued. Now, the British forces were already starting to rely on oil, on petrol. The decision of the British Empire to take control over areas with oil wells certainly influenced the decisions of which areas they wanted to conquer and in what way. For example, the conquest of Iraq at that same time was highly influenced by oil concerns. It’s not surprising that shortly after the war the British Empire started building a massive oil refinery in Palestine, in the city of Haifa to serve its own interests.Now this was towards the end of the war, 2017. There was already an ongoing Communist Revolution in Russia, and there was concern that Russia may step out of the war. It was allied with Britain at the time. Part of the reason that the Balfour Declaration was declared is that the British Government believed that the Communist Revolution is Russia is somehow being promoted by Jews, or by Jewish forces. This is part of the very racist worldview that was prevalent at the time, that Jews somehow controlled a lot of world events. They thought that making a pro-Zionist statement might actually help convince Russia to stay in the war.It should also be stated at that moment the United States was also starting to play a major role in the first World War. That also played a role considering the Jewish community within the United States, and mainly how the British Government interpreted the role of that Jewish community. I should also mention of course that in Palestine there were some Jews already living, about 70,000, and many of them were not even Zionists, but the vast majority of the population were Palestinians. We’re talking about the Muslim Palestinians, Christian Palestinians, but also Jewish Palestinians, which the British Government just didn’t recognize. They didn’t consider them as a partner for their political plans. GREGORY WILPERT: Considering that there were only about 70,000 Jews in Palestine at the time, as you mentioned, and most of them or many of them not even Zionists, and that there were about 700,000 Christian and Muslim Palestinians, why then did the British Government decide to side with the Jews at that moment?SHIR HEVER: Yeah, this is a very important question and it’s highly debated today among historians. There’s for example the idea that Lord Balfour himself was an anti-Semite and wanted to get rid of British Jews, and he thought that establishing a national home for Jews in Palestine would somehow convince Jews to leave Britain. Now this particular interpretation was especially prominent in the worldview of another contemporary British Minister, contemporary to the time, Lord Samuel Montagu, who was Minister of India, and he was himself Jewish. I’d like to read the statement by Lord Samuel Montagu regarding the Balfour Declaration.He said, “I assume that it means that Mohammedans and Christians are to make way for the Jews, and that the Jews would be put in all positions of preference and should be peculiarly associated with Palestine in the same way that England is with English, or France with the French, that Turks and other Mohammedans in Palestine will be regarded as foreigners, just in the same way as Jews will hereafter be treated as foreigners in every country but Palestine. Perhaps also citizenship must be granted only as a result of a religious test.”This very cynical text – and I of course should clarify that this text was written 100 years ago so the word Mohammedan is his way to say Muslims – this very cynical text shows his concern that by promising a national home for Jews in Palestine that would undermine the rights of European Jews.We have to remember the vast majority of Jews in 1917 lived in Europe, not in Arab countries and not in the United States, and certainly not in Palestine. They lived in Europe. Lord Montagu as a European Jew was concerned about that. Nevertheless, the British Government decided to side with the Jews, and there are several reasons for that. I already mentioned briefly the oil concern and the speculations that maybe siding with the Zionists would improve the chances of the British Government in the first World War. Chaim Weizmann, that you mentioned, was a scientist and helped to develop technologies that also assisted the British army during the war. That was considered another point in favor of the Zionist movement.This is also a time when the Colonialism of the world, the Colonial Movement by Europe and European powers was starting to lose its legitimacy. In fact, British Empire, this was shortly after the Sykes-Picot Agreement between France and Britain, they divided the Middle East between these great empires and already start dividing how they were going to take over the land that they are going to conquer from the Ottoman Empire. They couldn’t just say, “We want Palestine for ourselves.” They had to somehow frame it within a sort of benevolent Colonialism framework to say we’re doing this in favor of the local people.At the time it was framed in such a way that the native peoples of the Middle East are the Arabs, there are Armenians, and the Jews. Now in terms of demographics, that’s nonsense, the Jews were mostly European people much more than they were Middle Eastern people at the time. That was clearly an attempt to reframe the Middle East in a different way. For the British Empire that was a very usual kind of policy. The British Empire always used division as a way to control territories, divide and conquer, and in the same way they’ve also created divisions between India and Pakistan, Northern Cyprus and Southern Cyprus, the United States and Canada, and New Zealand and Australia, and the list goes on. GREGORY WILPERT: What kind of legal importance did the declaration have back then, and what legal importance does it have today? SHIR HEVER: The language of the Balfour Declaration is very poetic, but not very legalistic. The term “national home” is not defined. What does it mean national home? Miri Weingarten, that we heard before, she interprets that as collective rights, national rights, for self-determination for Jews, which would be for the first time recognized as a nation and not just as a religion. This is an interpretation. This is actually not in the text. You could also interpret a national home in a different way. What is also missing from Balfour Declaration is borders. A national home in Palestine, what does that mean? A house, a town, a city? That is also not clarified.In fact, it’s a Colonial statement, which is very vague and could be interpreted as a violation of the Sykes-Picot Agreement. It could be interpreted as maybe just a gesture, but it was significant in the sense that for the first time the local population of Palestine, the native population of Palestinians realized that this very small community of Jewish immigrants that are coming from Europe to Palestine are not just immigrants coming for economic reasons, but they’re actually a political threat to their own existence. Until 1917, Palestinians had mostly cordial relations with the Jewish immigrants. There were some conflicts, but those were relatively minor. Starting from 1917 and the British intervention on behalf of this very small minority, Palestinians start to realize that they might be replaced by this new population unless they fight it. From that moment you can say we have the conflict, we have the struggle. That was important.Of course, today when we talk about documents that serve as justification for nation states, for borders and so on, colonial documents don’t count for much. I don’t think the United States for example justifies its existence by the declaration of King George III. That sort of colonial heritage is usually frowned upon, not something to be proud of. It is very interesting that the Israeli government very unapologetically considers the Balfour Declaration such a founding statement. It’s an admittance in a way that by the Israeli government that they are a Colonial project, that they are some kind of leftover from 19th Century Colonialism and early 20th Century Colonialism.In fact, a group of Israeli jurists have used the Balfour Declaration to justify the violation of the fourth Geneva Convention to say, “Well actually, the West Bank and the Gaza Strip are not occupied territory, because the Balfour Declaration gives the state of Israel some kind of rights in that territory.” Legally that’s of course nonsense, but within the Israeli discourse that’s a very important issue. Loyalty to the Balfour Declaration is very important within the Israeli discourse to who patriotism and Zionist. GREGORY WILPERT: I’m turning to the Palestinians. Last year, president of Palestine, Mahmoud Abbas, spoke in the UN and demanded that Great Britain apologize for the Balfour Declaration. Let’s listen to what he had to say. MAHMOUD ABBAS: [via translator:] The notorious Balfour Declaration, the infamous Balfour Declaration by which Britain, Great Britain gave without any right, authority or consent from anyone the land of Palestine to other people. This paved the way for the Nakba of Palestinian people, their dispossession, their displacement from their land. As if this were not enough, the British mandate interpreted this declaration into policies and measures that contributed to the perpetration of the most heinous crimes against a peaceful people in their own land. GREGORY WILPERT: In contemporary politics about Israel/Palestine, what is the role of the Balfour Declaration? SHIR HEVER: The role of the Balfour Declaration today is symbolic, but we should not consider that to be an understatement of how important it continues to be. Symbolic or not, it’s a very important part of the Palestinian discourse about liberation and of the Israeli discourse about repressing Palestinian desires for freedom, so because the Balfour Declaration uses a language that takes the very small minority and grants it national rights and takes the very large majority and calls them the non-Jews of Palestine, so completely erasing their identity, the Balfour Declaration continues to be a symbol for the Zionist movement today. It is an important one.In fact, one Israeli politician who is himself a Palestinian, a member of the Labor Party, said that he doesn’t want to participate in this 100th year celebration of the Balfour Declaration. He doesn’t feel comfortable with that. The head of his party, Avi Gabbay, head of the Labor Party said, “Well, next year he’s not going to be part of our party anymore.” I think that really shows the level of repression of free speech and freedom of opinion in the name of this symbol of the Balfour Declaration.For Palestinians the Balfour Declaration is a constant reminder that the West, the Colonial Powers, the Imperial Powers, and later also the United States are clearly supporting the occupier and clearly supporting the state of Israel and not the rights of the indigenous people. In fact, the graphic artist Banksy just organized a sort of party in Bethlehem where the British Empire apologizes for the Balfour Declaration. Of course, Britain did not apologize, but by using actors, and one actor was dressed up as the Queen of England, they issued this fake apology. Banksy also created a graphic artwork to commemorate the 100 years for the Balfour Declaration. GREGORY WILPERT: Okay, well I was speaking to Shir Hever, Real News Correspondent in Heidelberg, Germany and author of The Privatization of Israeli Security. Thanks again, Shir for having talked to us about this. GREGORY WILPERT: Thank you for watching The Real News Network.